When it comes to wholesale mineral water, there are so many choices out there that it can be difficult to distinguish which products will offer your customers premium quality whilst keeping costs to a minimum. However, for distributors looking for superior Australian water that’s a cut above the rest, Beloka Water offers the best possible deal. In this blog post we’ll list just a few of the reasons you need to choose Beloka Water today for wholesale premium sparkling mineral water that tastes amazing. When you choose Beloka Water for your customers and clients, you’re choosing a brand that is recognised across the world for the quality and taste that is truly like no other water. We’re a member of the Fine Water Society, which means we’ve earned our place amongst the best mineral waters on the market thanks to the quality of our product. Through our membership with the society, we are officially recognised as manufacturers of nutrient-rich, pure water. Last year we also received a gold in the sparkling medal category at the International Fine Water Tasting Competition held in China, an accolade we are incredibly proud of. Beloka Water beat 104 other brands to achieve this title, and were held up as the leading standard for taste, purity of water and the abundance of nutrients and minerals in the water itself. Beloka are also the leading choice for restaurants in Australia, and a variety of world class restaurants and chefs have chosen Beloka specifically for their menu. For businesses, especially fine dining establishments, who wish to offer customers the best pure Australian mineral water, the choice is clear – it’s got to be Beloka Water. Your clients and customers won’t be disappointed by the fresh taste of Beloka Water that will reinvigorate them during the day. Our water ends up in glass bottles immediately after we have ensured it is ready for consumption, so there’s no additional chemicals or unnecessary plastic taste that is so commonly found with other water brands. We value the taste of our water here at Beloka, and have made it our mission to produce premium quality water that is thoroughly enjoyed by all those who drink it. Due to the fact that Beloka is bottled at the source, distributors can rest assured customers will be drinking a mineral water of optimum quality that contains all the most valuable vitamins and minerals. Flowing from the snowy mountains of New South Wales, Beloka Water includes a rich range of minerals including magnesium, calcium, sodium, chloride and silica that are hugely beneficial to the body. 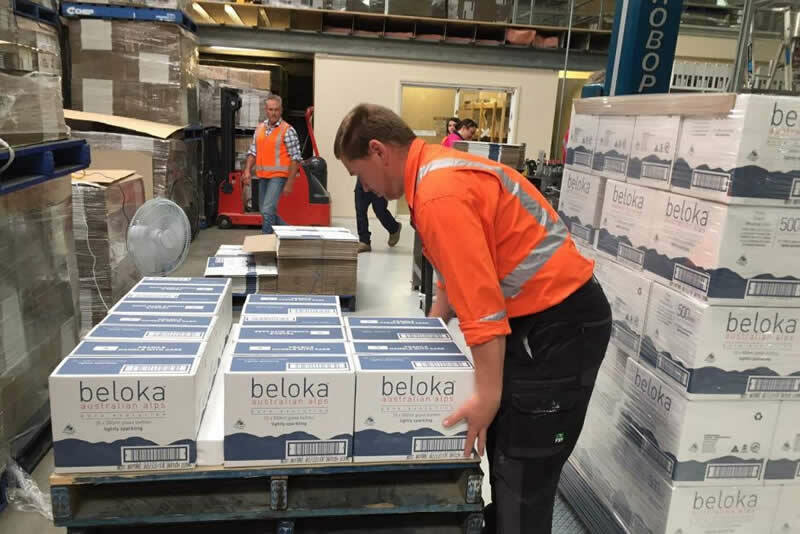 Something else that makes Beloka Water special is the fact that every aspect of our product, from the source of the water right down to our packaging and company ownership, is based right here in Australia. Our bottles are also partially recycled, which means our premium sparkling mineral water is a great choice for eco-friendly establishments. We’re the perfect water brand to choose for companies who are conscious of supporting home-grown Australian businesses. We put building trusting relationships with our clients ahead of profit. That’s why, when you choose Beloka Water, you can be confident we’ll work with you and your budget to help ensure the best result possible for you as a distributor, at prices that work for you and your customers. If you’re a distributor looking for a quality water supplier, you really need look no further than Beloka Water. If this blog post has helped teach you a little more about our mineral water, and you understand why we’re so proud of our products, then get in touch with our team. We’ll be happy to discuss in more detail the outstanding wholesale offers on pallets of Beloka Water, and work out how we can meet your requirements as a distributor for the best possible price.